Here at the penultimate holiday of the western world and beyond, there is so much hype about peace and love, and traditional values. 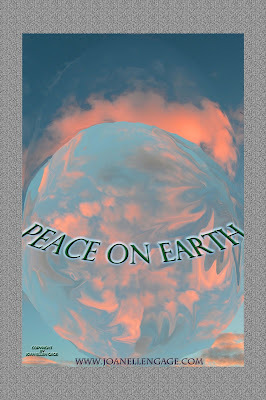 I feel there is actually very little peace and love given freely on our planet. I am reminded of the words to John Lennon's song, Imagine. I pray that we do not forget these words, and that someday they will be true. Please read them at the bottom of this post. Peace on Earth to all! 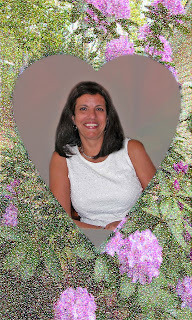 ©All creative works by Joan Ellen Gage are her exclusive property, and Joan maintains the legal rights to them. 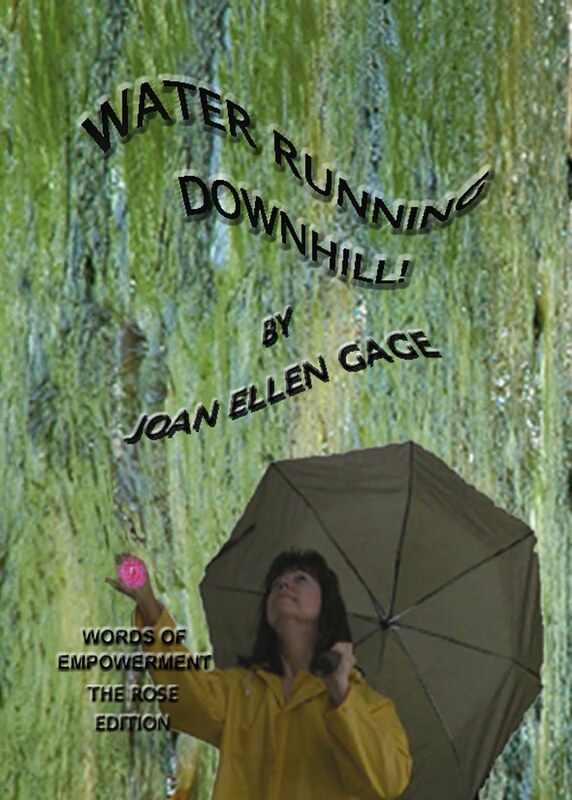 This week I published the Rose Edition of Water Running Downhill, Words of Empowerment! This edition is a project that had been on the back burner for a while. Rose's passing jump-started me to create the new version of Water Running Downhill! (WRDH), honoring this wonderful, inspiring woman. 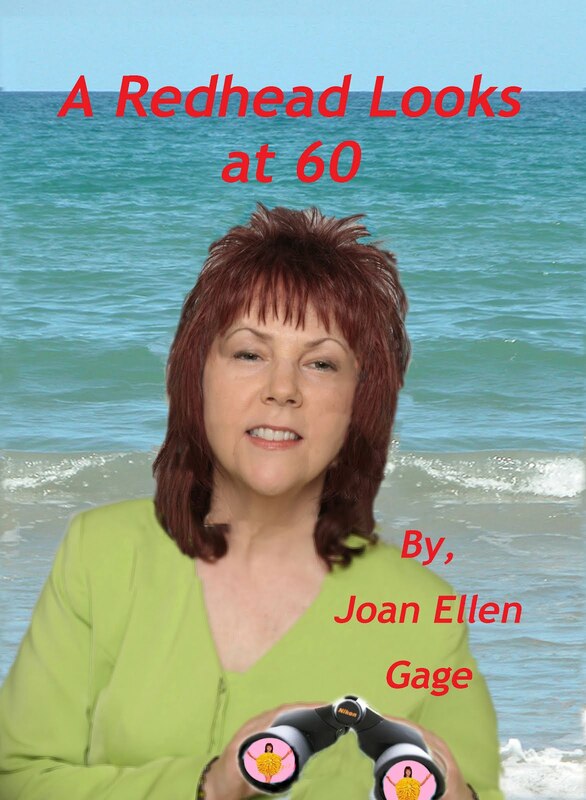 The spirit of WRDH contains passages that will speak to women of the foibles of aging, growth, joy, humor, and self-love.I hope my readers enjoy the new book, which contains reworked photos, and two new poems. May peace be with you, and your troubles be few, and don't forget to travel at the speed of now! Here is a poem from the new edition, enjoy! 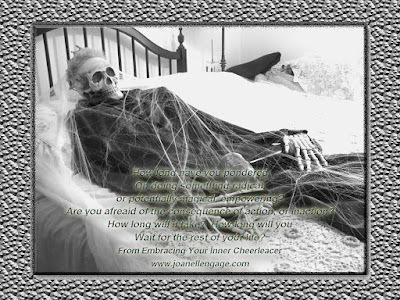 Happy Halloween from your personal cheerleader!